Clifton Design Group is a Fort Lauderdale SEO agency as well as a web design firm. We can optimize all your web pages for maximum results in the search engines. The process of website optimization and search engine submission is perhaps the most important and the most overlooked aspect of website design and development. Organic search engine traffic is always desired and a web site needs to be built properly to achieve organic rankings. Is search engine optimization (SEO) currently up-to-date on your site? It all begins with keyword research. We find the appropriate keyword phrases that will bring you the most traffic and optimize your pages using those keyword phrases. We find the keywords your potential customers use to find your business. If you opt-in to our monthly service, you will receive weekly reports on your position in the organic search. We use Moz.com to track your pages with our suggested keywords and then tweak and modify the content until you rank. SEO in Fort Lauderdale, New York or any other city requires that your site be included in the local directories like Yelp, YP.com, SuperPages and much more. 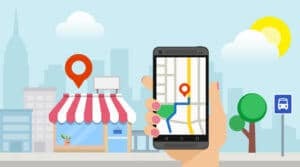 Local search is a must for retail and service-based businesses. Internet search has replaced the Yellow Pages. It is a must for small businesses.